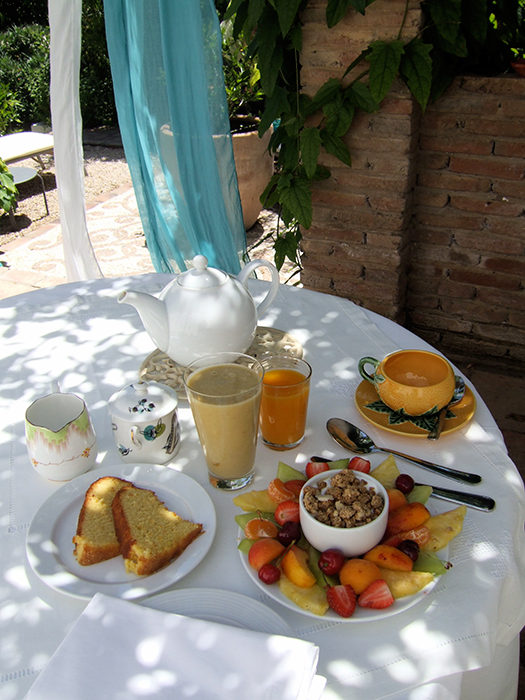 In the summer a breakfast of fresh fruit,home-made yoghurt, granola, toast and home-made preserves is served in the garden (weather permitting). 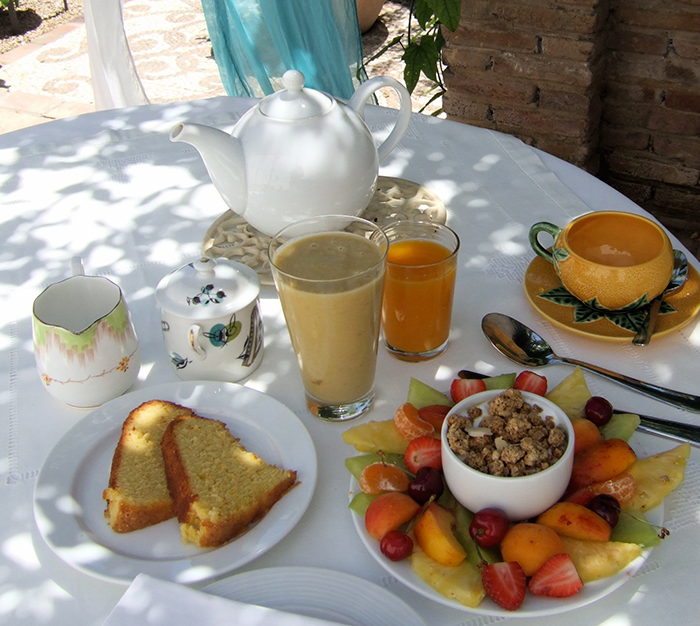 In the winter months a breakfast of home-made fruit compote, home- made yoghurt, granola, toast and home made preserves is served indoors. In the winter dinner is served indoors. We can suggest and tailor to your own requirements a modern Portuguese or Spanish menu of fish meat or vegetarian items (subject to seasonal and daily availability). We also have a two course a tasting menu and a tapas menu. These menus are available on request.